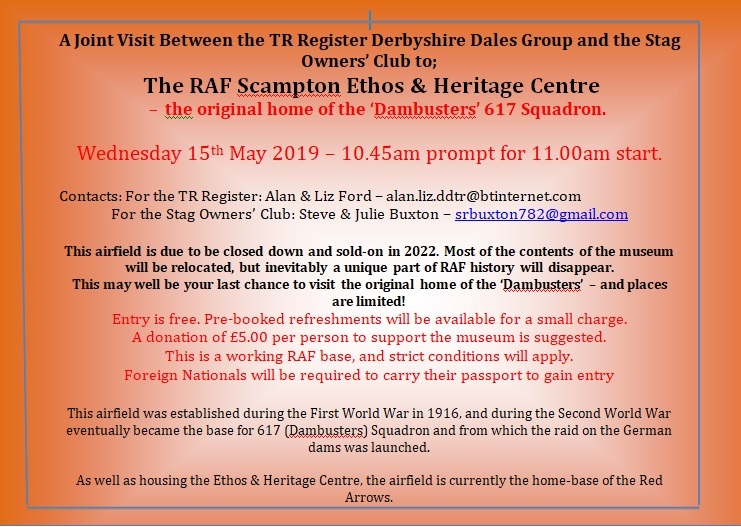 This event is a joint venture between the Derbyshire Dales Group and the Stag Owners' Club and the event organisers are Alan & Liz Ford for DDG and Steve & Julie Buxton for the SOC. Those who attended the similar joint visit to RAF Conningsby in 2017 will remember what an excellent day that was and this will be every bit as good if not better! 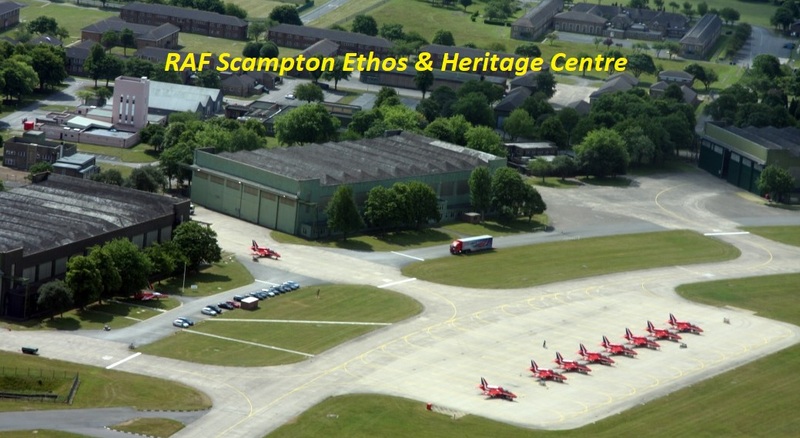 The meeting point will be at RAF Scampton at 10.45am on Wednesday, 15th May. Full details are available on the attached flier.